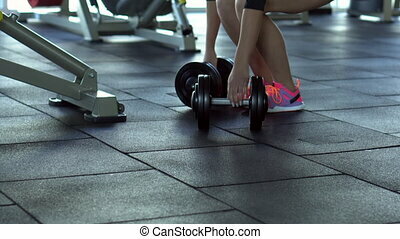 Beautiful young woman training with dumbbells in gym. 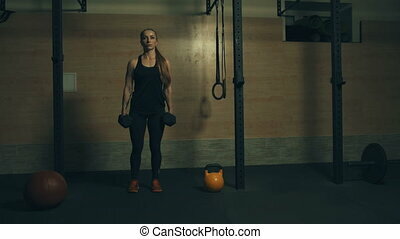 Beautiful young woman training with dumbbell in gym. 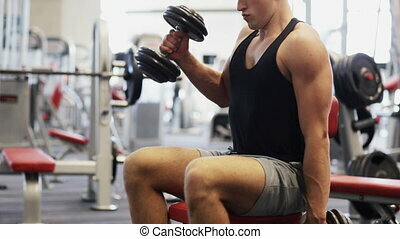 Beautiful young woman with dumbbells in his hands. 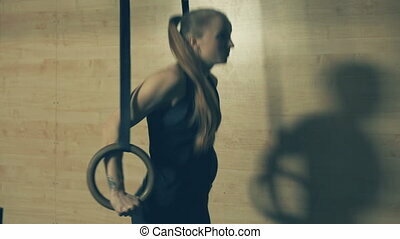 Young woman doing lunges with dumbbells in the gym. 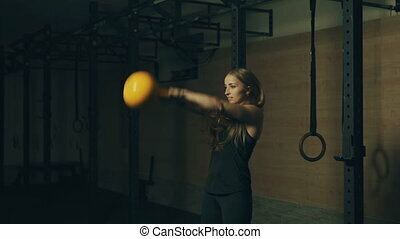 Beautiful young woman training with kettlebell weight in gym. Locked down real time 4K video. 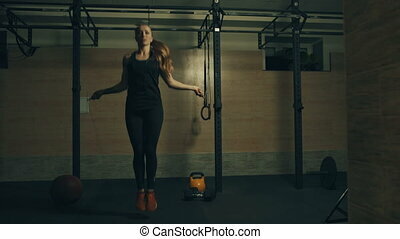 Beautiful young woman training making lunges with dumbbell in gym. Locked down real time 4K video. 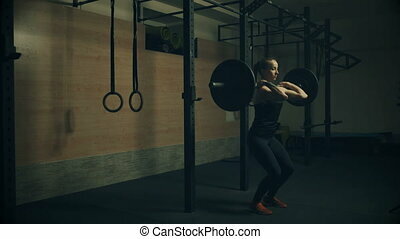 Beautiful young woman training lifting heavy barbells in gym. 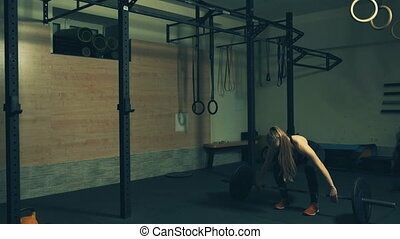 Locked down real time 4K video.